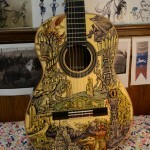 Even though I can’t play an instrument, being a huge metalhead, I still enjoy seeing really cool custom guitars. 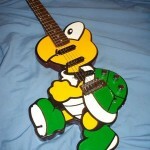 I’ve posted a ton of custom guitars in the past including a Koopa Troopa electric guitar, a stunning Halo guitar and even a Lord of the Rings acoustic guitar and I think the C-3PO guitar below might be among my favorites. 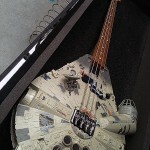 In fact, if you combined this C-3PO guitar with this Millennium Falcon bass, you would have the start of one kickass Star Wars band! On a slightly related note, I highly recommend checking out this metal version of the Imperial March by Epica (my all time favorite band). 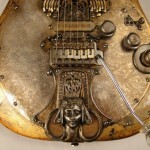 Anyway, back to this C-3PO electric guitar. 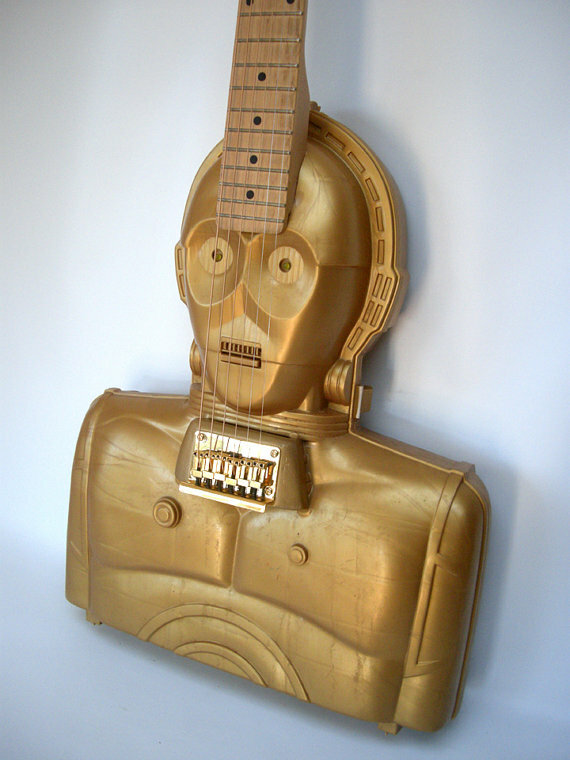 Etsy seller RAINY DAY INSTRUMENTS is selling this really cool electric C-3PO Star Wars guitar for $465. The neck is made of Behringer maple and the C-3PO part of this guitar comes from some collectors case which can still open and even talks! 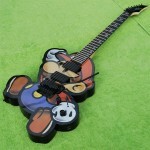 If you are a musically talented Star Wars fan, I suspect this might just be the electric guitar for you! If you do buy it, make sure to send us a video of you playing it because I would love to hear how it sounds.